There’s a lot moving us in the e-mobility era. 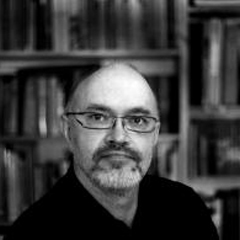 But what do we mean by electromobility? What vehicles does it include? And how does an electric drive work? An overview. Street vehicles with electric drives are not a 21st Century invention. However, in our modern era electromobility is at the heart of a global development which is based on our altered environmental awareness. describes the radical change in the mobility landscape: after a century of competing against one another, even adversaries such as BMW and Daimler are treading–or rather driving–along the same path, currently with car sharing. In short, electromobility describes the path to a sustainable and efficient vehicle drive, embedded in a new and all-encompassing transport strategy. Despite the conceptual diversity, today the term means, above all, the increasing electrification of private transport, and all the challenges this brings. At the focus is the (private) car, a permanently available mode of transport. It is joined by pedelecs, e-bikes, and public transport. They all have one thing in common: an electric motor. An electric motor is all about magnetism, the physical principle behind this drive: like magnetic poles repel, unlike poles attract. To exploit this effect, immobile permanent magnets or electromagnets are mounted on a rotor. 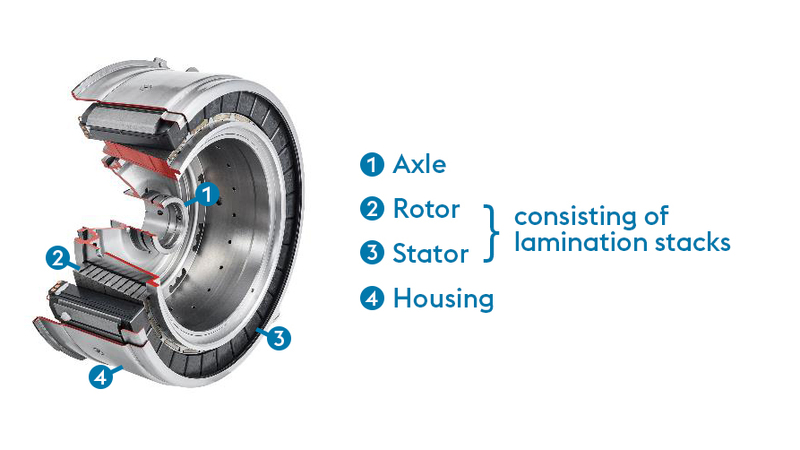 The stator, which usually surrounds the rotor, is wrapped in one or more copper coils. When the coils are electrified, the rotor aligns itself in accordance with the magnetic field surrounding it. However, when the direction of electrical flow in the coils reverses, this change in polarity “repulses” the rotor, causing it to change direction. Consequently, when the power is turned on, the rotor is set into continuous rotation, giving momentum to the vehicle–the motor runs. The speed of the movement depends primarily on the operating voltage in the coils. In an electric vehicle the driver regulates the speed via the accelerator pedal. 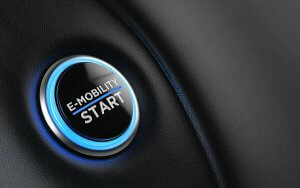 E Mobility – how does it work? Despite all these differences, demand for reliable and sustainably-manufactured vehicles remains. They should provide passengers with adequate protection, irrespective of drive type, and here high-strength, lightweight construction in steel remains the optimal solution. In addition to conventional fields of application, when it comes to electric motors and construction of secure battery casings, steel demonstrates its exceptional abilities in the mobility solutions of today and tomorrow. 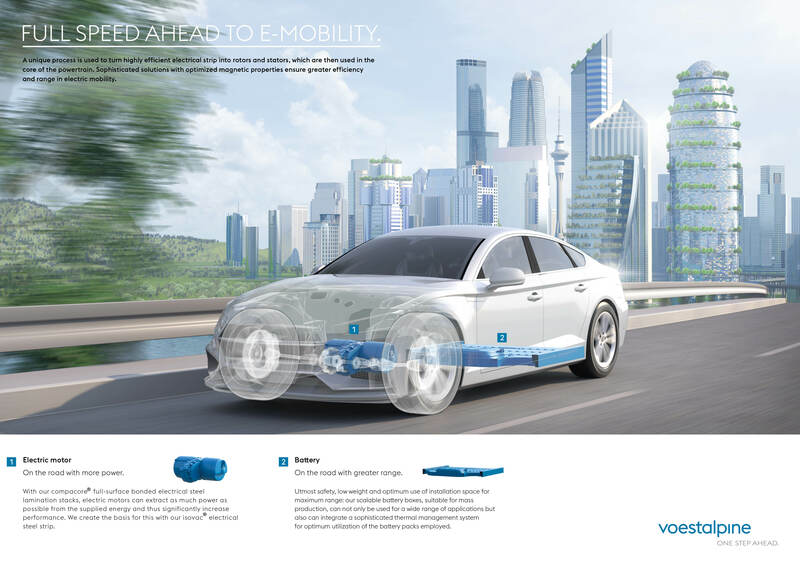 With its optimized electrical strips, the most efficient electrical strip packages, stable battery cases and other components, voestalpine supplies highly sophisticated solutions for electric vehicles. In principle an electric motor is better able to convert power (electricity from its onboard battery) into motion than can combustion engines. That makes it environmentally friendly. Advanced electric motors, such as the models used in the Formula E racing series, are 92% efficient. Once battery losses and similar are taken into account, a good 85% of the applied power is available to drive the vehicle. Modern combustion engines are around 25% to 40% efficient under high loads, whereas at lower loads (city traffic) this can fall to as little as 5%…. By around the mid-2020s there is predicted to be an equal mixture of solely combustion (ICE) engine-driven vehicles and vehicles with electric drives (EV) on the market. Yet a number of European countries have already set specific dates for removing solely diesel and gas-driven vehicles from the roads. The licensing of new vehicles of this type will stop in 2025 in Norway, 2030 in Denmark and Sweden, 2040 in France and Great Britain, and in 2025 for diesel and 2035 for gas-fueled vehicles in the Balearics. Many others will follow suit. BEV (Battery Electric Vehicles) are purely battery-driven vehicles, the epitome of future electromobility. They need to be “tanked” at external charging stations. FHEV (Full Hybrid Electric Vehicle). A full-hybrid drive involves both a combustion engine and an electric motor; both motors can be decoupled and allow pure e-driving. But pure e-driving does require batteries that supply at least 20 KW per ton of vehicle weight. MHEV (Mild Hybrid Electric Vehicles) are based on a combustion engine with “assisting” e-motor (crankshaft starter generator). PHEV (Plug-in Hybrid Electric Vehicles) are hybrid vehicles which can be charged externally (plug). REEV (Range Extended Electric Vehicles) are electric vehicles able to travel over greater distances before recharging. They are effectively the opposite of mild hybrids: the combustion engine “assists” by recharging the batteries, but cannot be decoupled to become the sole drive. …the origin of e-mobility on the roads goes back to 1888 and the Flocken electric vehicle in Coburg. The converted carriage, driven by a 0.9 KW electric motor, was reputed to reach speeds of up to 15 km/h. However, on its maiden journey it had to be pushed the last few meters to the next “charging station”, a hydropower plant... In the first boom period for electromobility (circa 1896-1912), 565 different e-vehicle marques were registered worldwide. This period also marked the first journey by a road vehicle at a speed of over 100 km/h–naturally by an electric vehicle, the “La Jamais Contente”, in 1899.